It’s finally March, the Spring is here and those dark winter days are long becoming distant memories (if not for all the snow and sub-zero temperatures). But whilst the weather might be broken, there is one constant that cannot be taken away. And that of course being St Patrick’s Day! We’re not too big on stereotypes here in the ole emerald isle begorrah! But there’s nothing we like more than good music (and maybe a sociable drop of the small stuff to loosen our ears and liven the spirits). And on the 16th (yeah it’s not technically Paddy’s Day but we all have to get up for work on the 18th) Jameson are putting on a pretty impressive celebration in Vicar Street. Jameson St. Patrick’s LIVE, a night dedicated to celebrating the countries very finest, will see not one, not two but three of Ireland’s most promising bands take to the stage at Vicar Street. 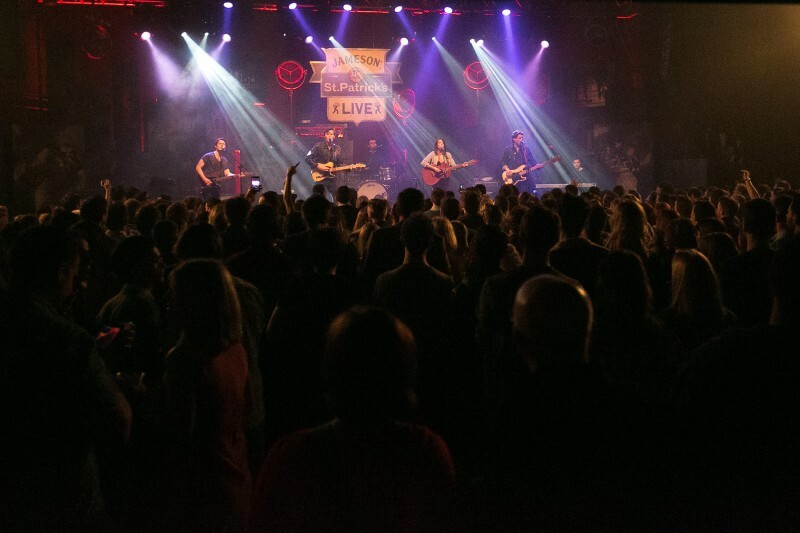 Headlining duties on the night fall to Little Green Cars, a band who’ve tasted success both here at home and abroad with singles such as ‘The John Wayne’ and ‘Harper Lee’. With a follow-up to the critically renowned ‘Absolute Zero’ due to for release later on this year it’s fair to speculate that some new material may be trialed on the night. Support duties fall to Delorentos and We Cut Corners who both picked up nominations in this years Choice Music Prize for best album. As two of the countries premier live bands Jameson St. Patrick’s Live promises to be a very special gig.